As a Resident Movement Artist at the Georgetown Lombardi Arts & Humanities Program (AHP) I lead wellness programming for staff MedStar Georgetown University Hospital, direct on-site performances and art encounters around the medical campus, and innovate how dance and creative expressions play roles in healing and quality of life. AHP promotes an optimum life experience for patients, family, and medical caregivers with events, resources, education, and environments that encourage a creative response to illness. The program is at the national and international forefront of the rapidly developing research and field of arts and healthcare. 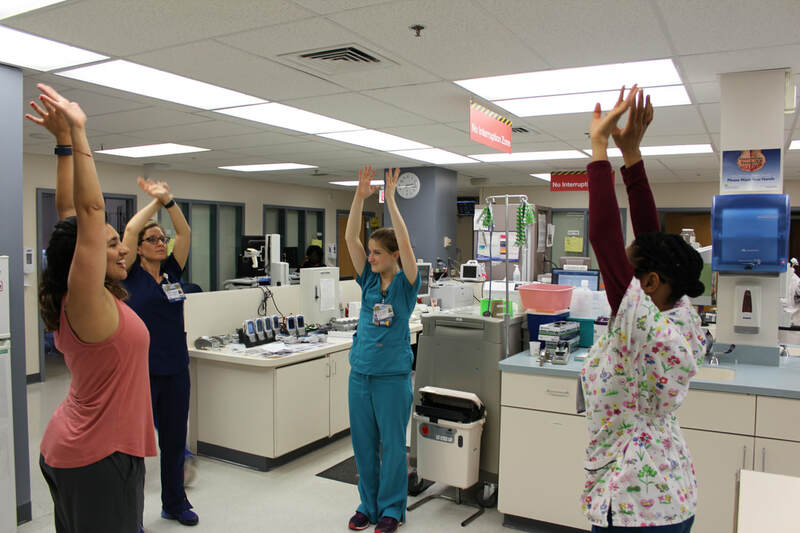 Each week I lead five-minute stretch breaks and a yoga class to hospital staff throughout the MedStar Georgetown University Hospital campus. From kitchen staff and security guards to medical leadership, I help units move and breathe together to maintain a healthy work flow and come together for a daily yoga class. I am co-leading a pilot program in collaboration with the hospital's Department of Neurology to develop a community dance class curriculum for people living with MS. This study and curriculum development is in co-sponsorship with the MedStar Georgetown University Hospital Department of Neurology and is creating partnerships with national and international institutions. It is committed to the study of dance as a core exercise in improving mobility and symptoms of neurodegenerative diseases.Movement for MS empowers participants to explore their movement potential in fun and creative ways while building community, collaboration and physical confidence. 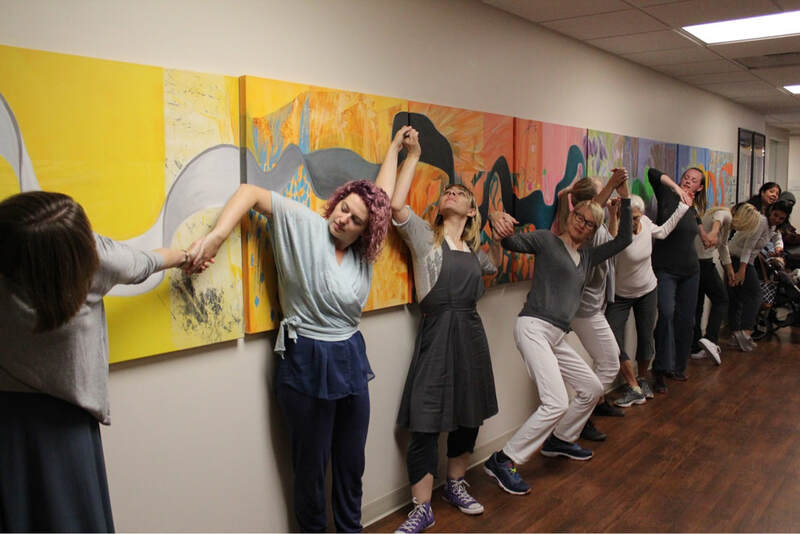 As part of an ongoing initiative to bring the healing arts to healthcare settings, the Day of Dance is an annual live dance performance that takes place inside and around the campus of MedStar Georgetown University Hospital. Professional dancers and a live musician perform a dance that travels through the hallways, lobbies, and units of the hospital. I directed the second Annual Day of Dance in October 2018. See more media coverage of the Day of Dance and the Arts and Humanities Program from the Associated Press and MedStar Georgetown on the media page.